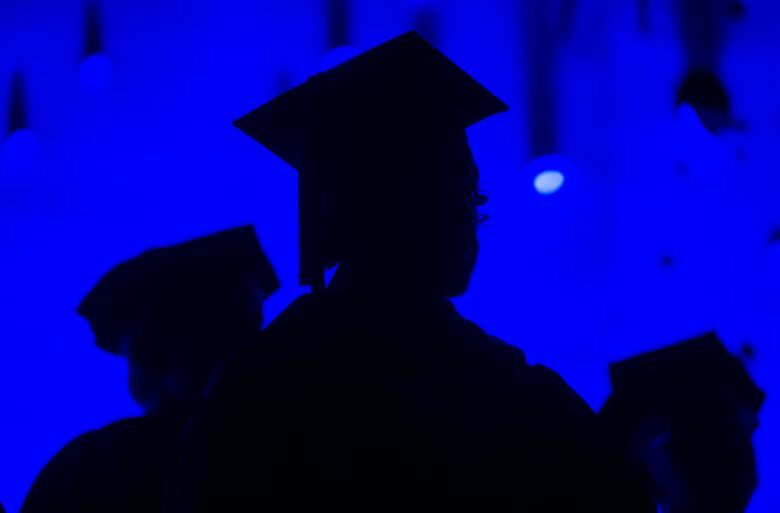 Students complete community-college degrees at a much higher rate than previously thought, a new federal analysis shows. Nearly half of all students who enter Washington’s community colleges earn a degree or certificate in eight years, or transfer to another school before getting a degree from their community college, new federal data shows. And a few Seattle-area technical colleges — Renton Tech and Lake Washington Tech — do especially well at getting their students to the finish line, with rates of 74 percent and 55 percent, respectively. That’s in sharp contrast to what’s usually reported by the federal data center known as the National Center for Education Statistics — which shows a three-year completion average, for public community colleges, of about 20 percent. But the old number took a narrower look — only counting students who were attending college for the first time as full-time students, and those who finished within three years. The old rates also didn’t take into account the number of students who transfer to a four-year college before finishing a community-college degree. The new data was recently published on the federal College Navigator website, and it looks at all students who earned a degree or certificate, regardless of whether they enrolled full-time. The new analysis also looks at completion rates over eight years rather than three — a nod to the fact that it can take much longer to complete a degree when a student is enrolled part-time. Washington’s State Board for Community and Technical Colleges (SBCTC) compiled the numbers for all the state’s 34 community and technical colleges, and found that the average eight-year completion rate in Washington is 43 percent, said Darby Kaikkonen, SBCTC policy research director. That’s much higher than the state’s 3-year completion rate for first-time, full time students, which is 29 percent. Renton Tech, at 74 percent, had the highest completion rate in the state, followed by Bellingham Tech with 67 percent, Walla Walla Community College at 61 percent and Lake Washington Institute of Technology in Kirkland with 55 percent. Kaikkonen said technical colleges do well because many of their students are earning one-year certificates, rather than two-year associate degrees. In analyzing four-year colleges, graduation rates are often an essential component of rankings of quality — the top schools often also achieve top graduation rates. But Laura McDowell, a spokeswoman for the SBCTC, said the completion rates aren’t necessarily a stand-in for quality at the community-college level. Because the degree programs differ so much from school to school, she recommended choosing a college based on whether it offers the degree field you’re interested in — not based on its completion rate. New data shows the percentage of all Washington community college students who received a degree or certificate eight years after starting college. When students who transferred to another school are included, the rate is higher.